Tuiles are a french dessert, often served as as an accompaniment of other dishes, like ice cream, panna cotta, tart, mousse, etc. Tuile is a french word for tile, which resembles with the curved shape of this cookie. These cookies are like thin wafer, made from butter, egg white, flour and powdered sugar. They are crisp and sweet, and I usually eat them like sweet chips, accompanied with a cup of coffee. Their curved shape is made while they are still hot. After baking the tuiles in the oven and while they are still soft they are transferred fast on a rolling pin until they get hard. 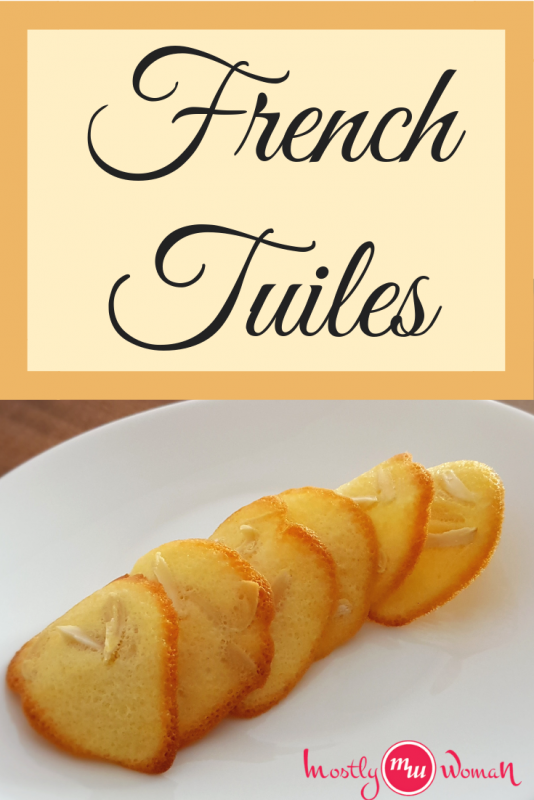 In this recipe for french tuiles I added silvered almonds so they can get crispier structure. You can buy silver almonds in almost every bigger store, but I intend to make them at home. I usually make bigger batch, so I store them in a glass jar and keep them in the fridge. 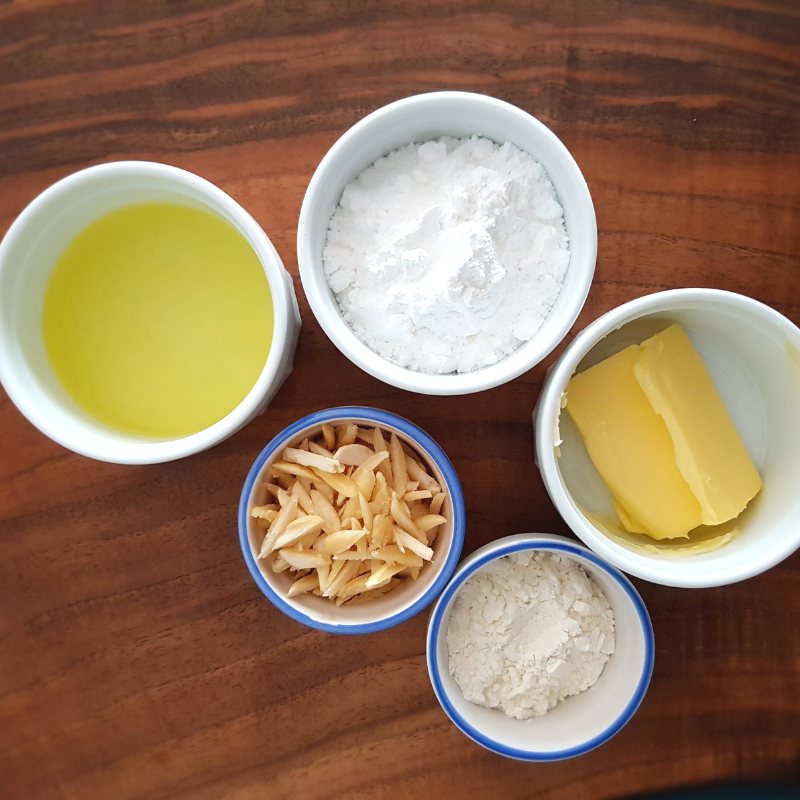 I use the almonds for many recipes I make to give a little bit of crispiness in the dish. 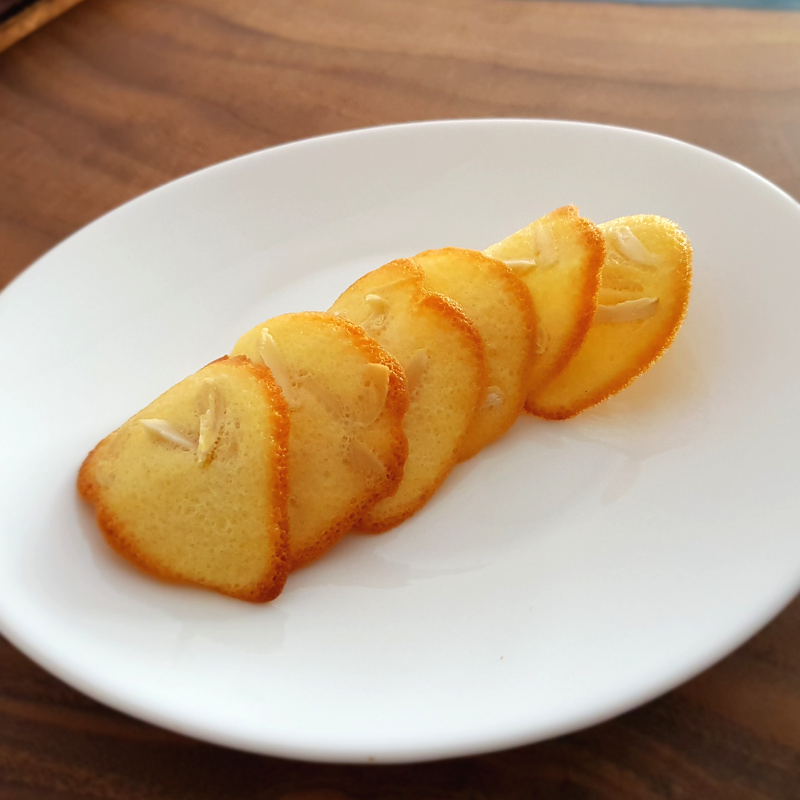 How to make silvered almonds? Put the almonds in a bowl and pour boiled water over them. Let them sit for 5 to 10 minutes, or until their peel become soft and easy to slide off easily. Drain the almonds, let them cool a little bit and start peeling off their skin. 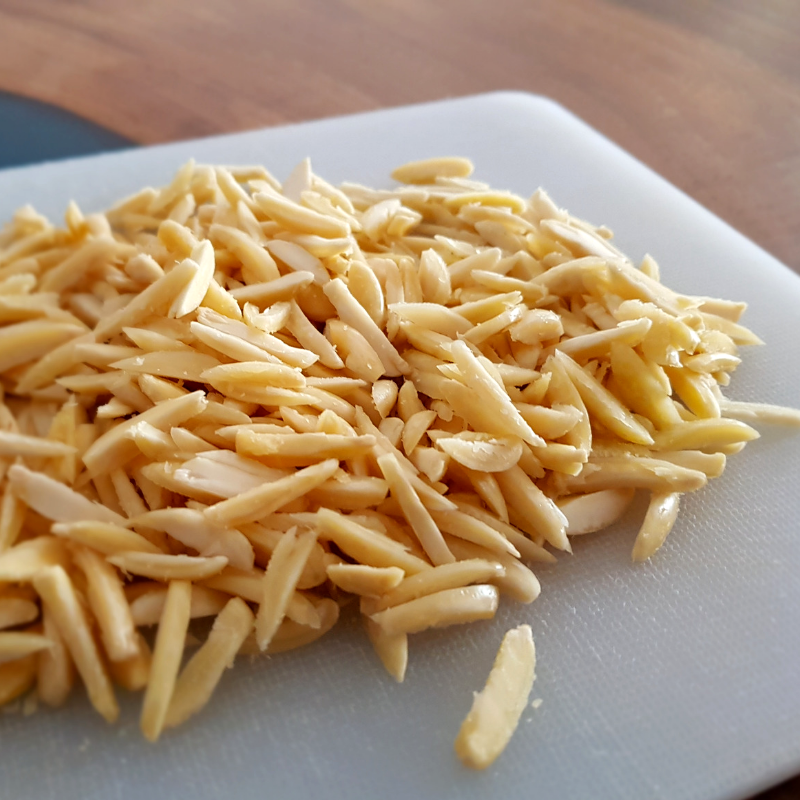 Set the almonds on a chopping board and slice them as thin as you can. 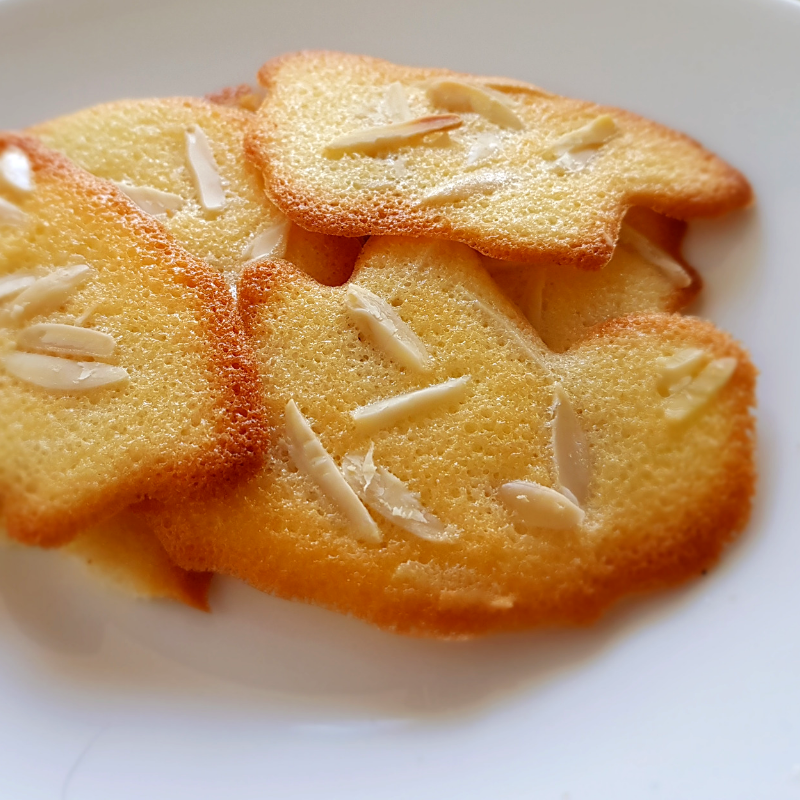 Spread the chopped almonds on a baking tray with parchment paper and put them in the oven on 150ºC for around 3 minutes, so they will be dried and a little bit toasted. 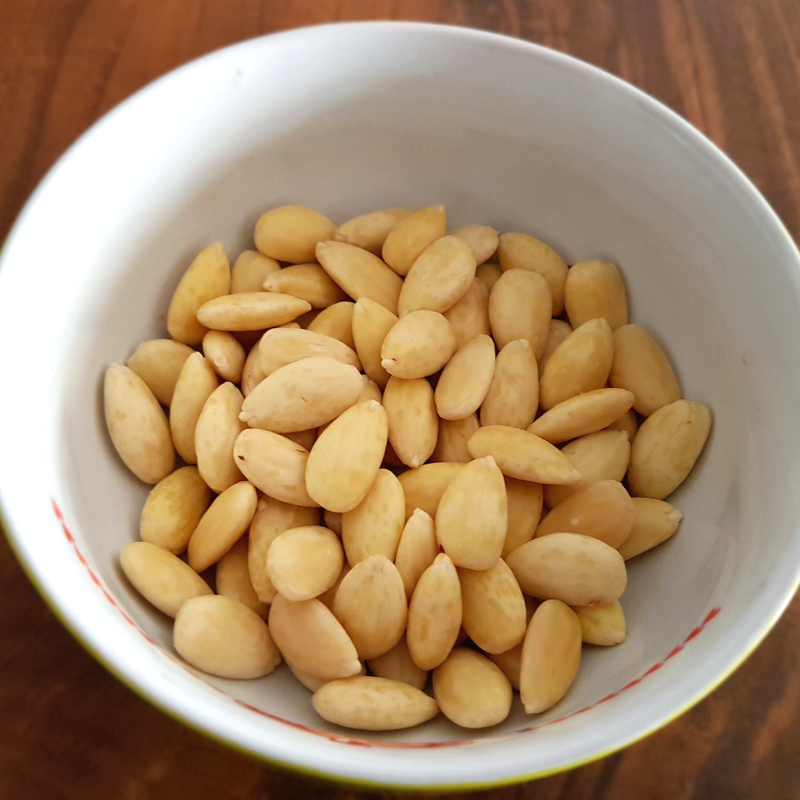 You can store the silvered almonds in a glass jar and keep them in the fridge to prevent rancidity (Silvered almonds become more rancid than whole almonds) and use them in different recipes, like desserts, salads, soups, beverages, cereals, ice cream, pancakes, rice, pasta, etc. This post contains affiliate links to keep our blog up and running! We are grateful for your support! 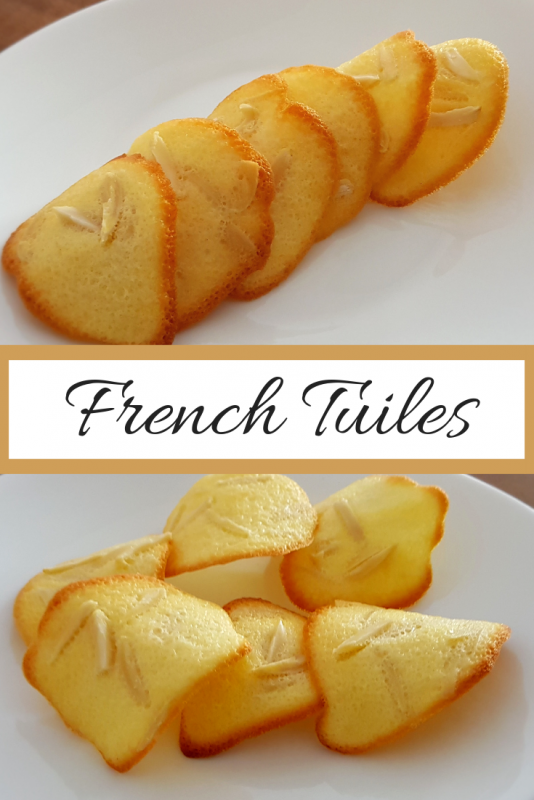 Bake them for 8 – 10 minutes or until the french tuiles are slightly golden but still white in the center. Remove them from the oven and lift them up with the help of a kitchen spatula and place them on a rolling pin to give them their curved shape. When the tuiles are firm transfer them on a wire rack to cool completely.